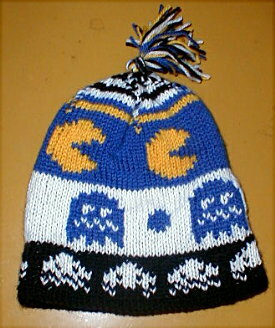 Virginia may be for lovers, but knitting is for gamers. This is what I call 'Gaming really getting to one's head'! At least they'll be warm. Now that I know knitting is cool, maybe I should learn some cross-stitch.